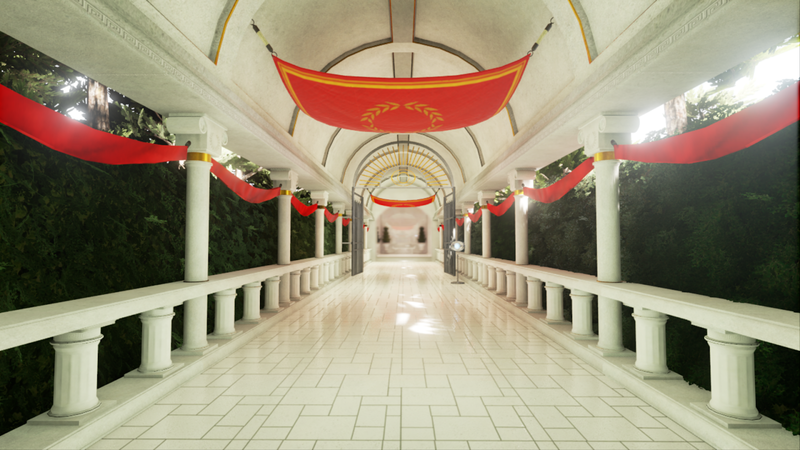 This month's Xbox Live Gold game is Pneuma: Breath Of Life. An Unreal Engine 4 powered puzzle game played in first person. I gave it a go last evening and ended up completing the whole game! While perhaps going a bit too far with it's meta references and ensuring you that you might not be in a real world but *shocker* playing a game, through an energetic voice, Pneuma puts you in the role of a god. Introducing you with a walk through various rooms as the graphics become more elaborate along the way, you are introduced to the games simple controls and mechanics. I felt mostly that the narrated story felt like meaningless babble. 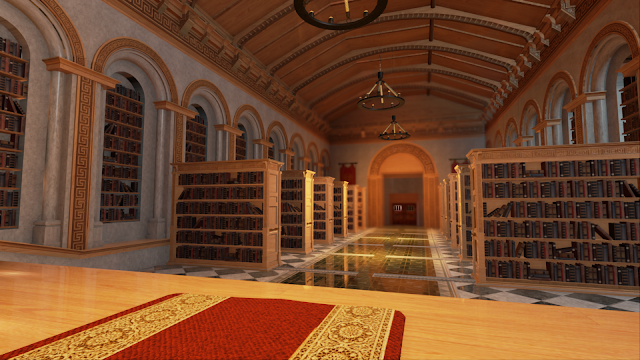 The game is played from a first person perspective and the main goal is simply to progress through rooms in each of the games chapters. Puzzles are scattered along your way, hindering your progression until solved. A narrator hints vaguely solutions and keeps the walking around parts interesting. The actual puzzles are mainly based on viewing the environments and using your eyes to manipulate objects. Rooms often contain visual puzzles that need solving too, centred around using your field of view. There's actually hardly any moves you can do; the analogue sticks are for moving, X is used to interact with buttons and levers, and there's a jump button! 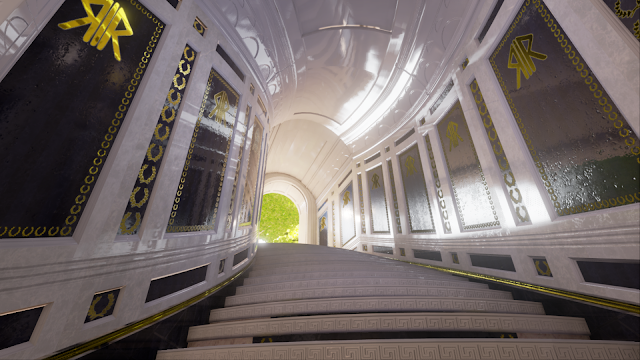 Pneuma features visually stylish environments to walk through, with large and bright rooms decorated with marble walls and paintings. Much like the Greek god the game inherits it's title from, the style of the game has a Mediterranean palace feel to it. The artstyle has a bright and clean appearance which works beautifully and keeps the puzzles free of visual clutter. While I enjoyed the graphical effects like reflective surfaces and realistic lighting, the overall visuals being nothing ground breaking in my opinion, do sometimes look a little too much like an Unreal Engine 4 demo reel for my liking. 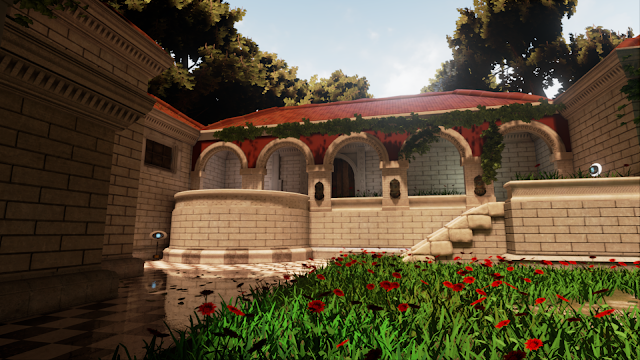 Although I enjoyed my playthrough, Pneuma is an extremely short experience. It takes around one to two hours to complete, so keep that in mind if you plan on buying the game at a later point when it's no longer available free for Gold users. There's basically no replay value here as the puzzles are the same each time. It does offer some easy 1000/1000 achievement points if that's your thing though. I must mention that the loading times, which only occurs between chapters, are terribly optimised and feel like an eternity. All in all I had a short but fairly entertaining puzzle experience. Some of them really took a chunk of brain twisting to solve, but never feel unfair or insanely difficult which I appreciated. Recommended for free with Gold indeed, otherwise only if it sells at a bargain price. Clean and simplistic visuals and controls. Smart and original visual puzzles. Way too short with no replay value at all. Looks like an Unreal Engine 4 demo. Nobody expects the dragonish inquisition!